We have many signed and unusual Ray Bradbury items. Each signed item comes with a Letter of Assurance! 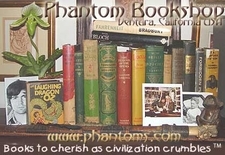 Our other locations on the Internet that sell our fine books and other good things! Entire content of this web site is Copyright by John Anthony Miller 2015. All Rights Reserved.